I have decided to give you - the beautiful, smart and talented Beyond Infinity Film readers - a chance to get your voice heard for one of the categories. Ooh, how exciting!? 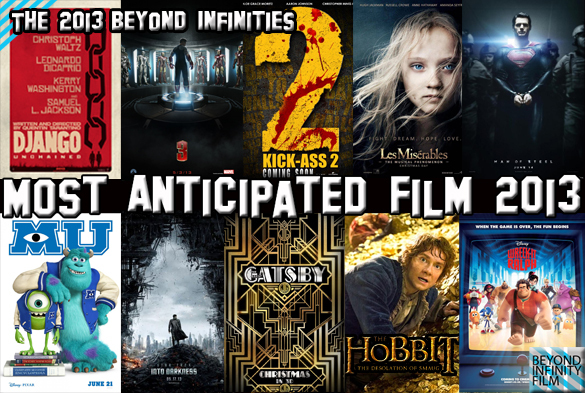 The category in question is for Most Anticipated Film of 2013, and there are 10 nominees for you to choose from. Simply scroll down to the poll below, make your choice, and submit it - it couldn't be simpler! You have until Monday 31st December to cast your votes, and then the winner shall be announced on the day of the awards itself (date to be confirmed).